Indian Naval ship Beas is on an official visit to Doha, Qatar from today onwards till 02 Apr 16 to participate in the fifth edition of Doha International Maritime Defence Exhibition (DIMDEX). DIMDEX is held biennially at Doha and provides an ideal platform for showcasing our indigenous shipbuilding capability and technological prowess as well as innovation in Naval systems. 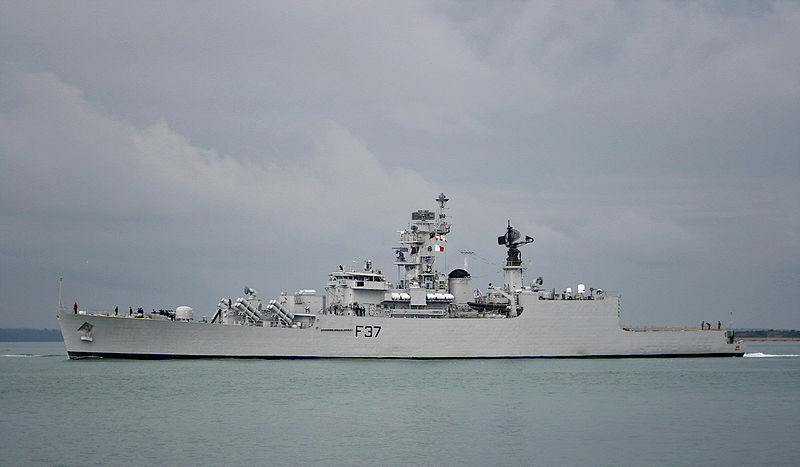 INS Beas, an indigenous Brahmaputra Class frigate commissioned on 11 Jul 05 will represent the Indian Navy at DIMDEX 16. 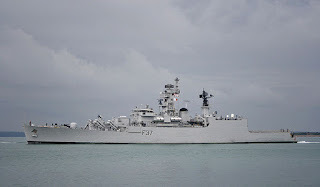 Built by our Defence shipyard (DPSU), M/s Garden Reach Shipbuilders and Engineers Limited, at Kolkata, the ship is a modern anti-submarine warfare frigate equipped with state-of-the-art weapons and sensors. The ship represents a unique amalgamation of Western and Eastern origin as well as indigenous equipment and leverages innovation to provide a potent mix of surface, anti-air and anti-missile as well as anti-submarine capabilities. During the visit, the ship will have professional interactions with the Qatar Emiri Navy. The visit will also afford an opportunity to interact with other participating warships from various countries. These interactions will contribute towards strengthening ties, enhancing mutual understanding and building ‘Bridges of Friendship’. The ship is Commanded by Captain Deepak Bhatia, who is a Navigation and Operations specialist.